While this might be a shock, it’s not Christmas. At least not for photographers. In my (admittedly myopic) experience, it is the Fall color season. Everything comes together for landscape and nature photographers at this time of the year. The light is wonderful, and sunrises are later (which means we don’t have to get up in the middle of the night to be on location — just the more civilized hour around 5:00 a.m.), the light is low angled and gives us a longer “window” during the “golden” hours. The air is fresh and clear. Often, wildlife is in full “plumage,” and because it is mating season, often (ironically) less skittish around photographers. In my ideal world, I would take a 2 month “sabbatical” from work and life each year, and would start in the far northern stretches of our continent and follow the color South. Unfortunately, though my world is great and I have no complaints, it is far from the ideal world described above. So I take “potluck,” and don’t always know for sure where I will be and what I will be able to photograph. There may be an opportunity to make a long-weekend shoot or two in Northern Lower Michigan this year, which will present some new opportunities for shooting. Over the past years, I have spent a lot of time in New England and Northern Michigan. I have had the great opportunity to spend some time in Virginia, West Virginia and in New Mexico during the Fall. I am looking forward to visiting the Great Smoky Mountain National Park, Eastern Canada, and perhaps the Southwest in future years. 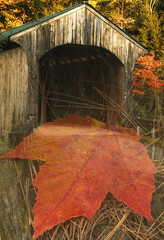 Andy–agreed; fall color season is my favorite (photographic) time of the year. Always has been. Very nice set of images illustrating “the why” of this entry, not incidentally. Thanks, Kerry. Looking forward to what you bring home this fall!